I am an aspiring realtimer and love to learn from more experienced and awesome realtime court reporters. My focus is on how to use briefs for parentheticals that explain to the attorneys what’s happening. I would love to have specific and easy-to-learn examples that I can incorporate into my dictionary. I like the briefs for parentheticals that explain to the attorneys what’s happening. It always distracts me when I see an attorney staring quizzically at my realtime feed. So writing a quick note releases my concern, and I can get back to focusing on the job. VAIR/VAIR – (Reporter Note: All quotes will be verified later.) I use this when I know I didn’t get quoted material accurately. CLEAR/CLEAR – (<<<<Momentary transmission lapse. Stand by.<<<) I use similar wording to this when I really mess something up and I don’t want them to see it on my screen. 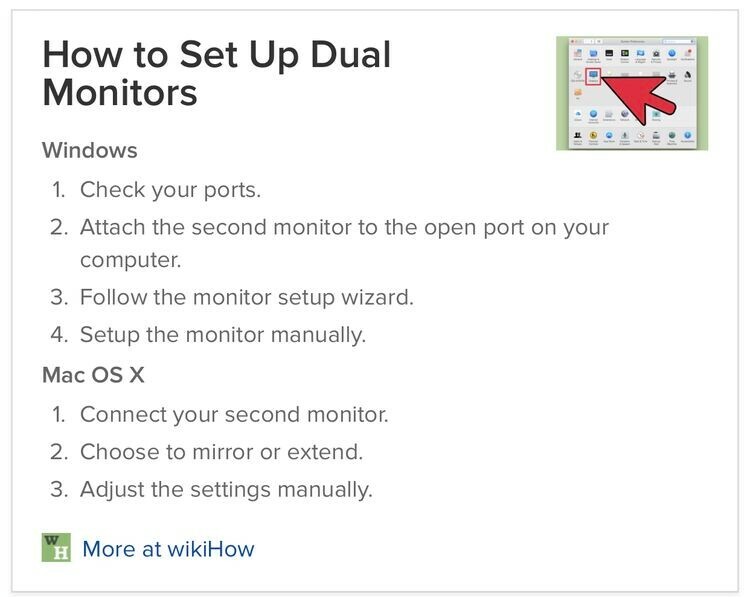 The < are paragraphs so add as many as you need to clear the screen. BREAK/BREAK – (Reporter Note: Reporter would like a bathroom break when convenient.) Write this when you see an attorney is viewing the screen; usually then that attorney will interject and ask for a break for our reporter. CLAIR/CLAIR – (Reporter clarification.) I use this when telling attorneys to speak one at a time, or whatever I am asking them for, because I cannot write myself talking. I may leave the parenthetical in for the final, or put in my actual words if I have the audio and feel it’s better to change the wording. DRAFT/DRAFT – (Realtime Draft Transcript – Not for Official Use.) I add this throughout the day whenever I remember to do so. Good reminder to them that it’s just a draft. You can also use this when you know something didn’t translate correctly just as a reminder to them that it’s simply a draft. Lisa Knight, FAPR, RDR, CRR, has some great options as well. Check them out! Here are a couple of parentheticals I use almost every day when writing realtime. SMAOT – <New Page><Parenthetical>ERROR CODE: ERROR #224, MAX SPEED INPUT EXCEEDED!! TEXT/STENO DROPPED TO COMMENT LINE – CHECK<New Line Paragraph><Colloquy>(Simultaneous crosstalk interrupted by the reporter. )<Colloquy>THE REPORTER: One at a time, counsel. 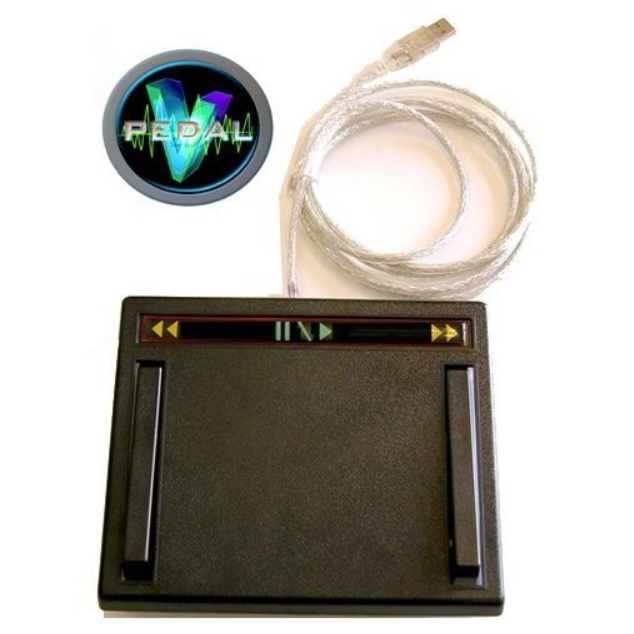 This automatically dashes the last speaker, clears the realtime screen (it helps get their attention), and then puts in the steno error code. Counsel don’t know that I’m the one that put the “error code” in the transcript, and I can stop them and blame the software for not being able to keep up with how fast I’m writing because of how fast they are talking. It’s great, and it works every time! I use this one when I am having to interrupt either the witness or the attorney to clarify what they are saying. I never stop to ask for a spelling, but if they are reading too fast (or mumbling) and I can’t understand what they are saying, I can’t write it down. I do not dig out of the audio for anything I may say on the record; I just use this parenthetical. And I have it surrounded by “scanstops” to alert me to this part of the transcript to review. I use this one when I know/feel like the words tranned funny (like Al Gore rhythm instead of algorithm) and I don’t have a chance to fix it quickly. All I have to do is write one quick word (B*AM) and this note populates into the transcript. That way, counsel know that I know of this issue – and to remind them it is not supposed to be a PERFECT transcript. It’s a DRAFT transcript. Good luck on your journey and happy realtiming! Daily practice can make a big difference. That’s not new information to any court reporter or captioner. The hard part isn’t knowing you need to practice; it’s making the time to do it. Some reporters have found that joining a Facebook practice group helps them make it happen. A recent story in the JCR about a group led to others expressing interest in starting groups of their own. 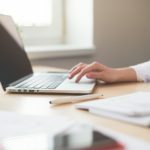 Rich Germosen, RMR, CRR, a freelance court reporter from New Brunswick, N.J., who leads a practice group, has some ideas for people who are starting their own group. Germosen’s group is a 100-day group. Members make a commitment to practice 100 days in a row, although some members have gone on longer. Start off with a public Facebook group while you attract members. When you have the right number, you can make the group secret. Too many members will make the group unmanageable. Germosen says 100 is a good number of members for the group. That’s a small enough number that the moderator can recognize all of the members, and they can be a close-knit group. He was the only moderator for his group for a long time, but he has recently added another person. Members of the group are promising to practice every day and post about it when they do. The moderators are paying attention to who is practicing and who isn’t. Germosen said one rule is that everyone needs to be supportive of everyone else in the group. As admin, he likes everyone’s Facebook practice posts and keeps the page free of drama. He said it’s also important for the admin to set the example with practicing. No slacking. A few weeks after the NCRA Convention & Expo in San Francisco, in September 2014, I started a practice page on Facebook. 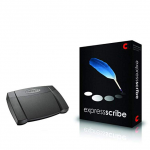 My goal was to get more consistent with my steno practice. I would always practice, but then life would get in the way and I might not practice for a week or so. I wanted consistency and accountability. So I started the 100-day-challenge practice page on Facebook where you would report your practice once per day in a post. Members would encourage each other to keep their streaks going. When I first started, I posted both my exercise and my steno to the 100-day exercise page I was already part of. Anne Vosburgh, a reporter friend who was in the practice group, suggested I make a 100-day page for just steno. She told me: Make the page and they will come. After a year or so, I made the group secret and put in the rules that you will be removed if you’re not participating. We’re now a relatively small group of anywhere between 130 to 140 members. I felt if I had a page to post my practice to, that it would keep me going so that I would not skip any days of practice. It is so easy to not practice. But, today, it feels strange not practicing. If I have a job at 9 a.m. in New York City, I set my alarm for 3:59 to get my 15 minutes in before catching the train. 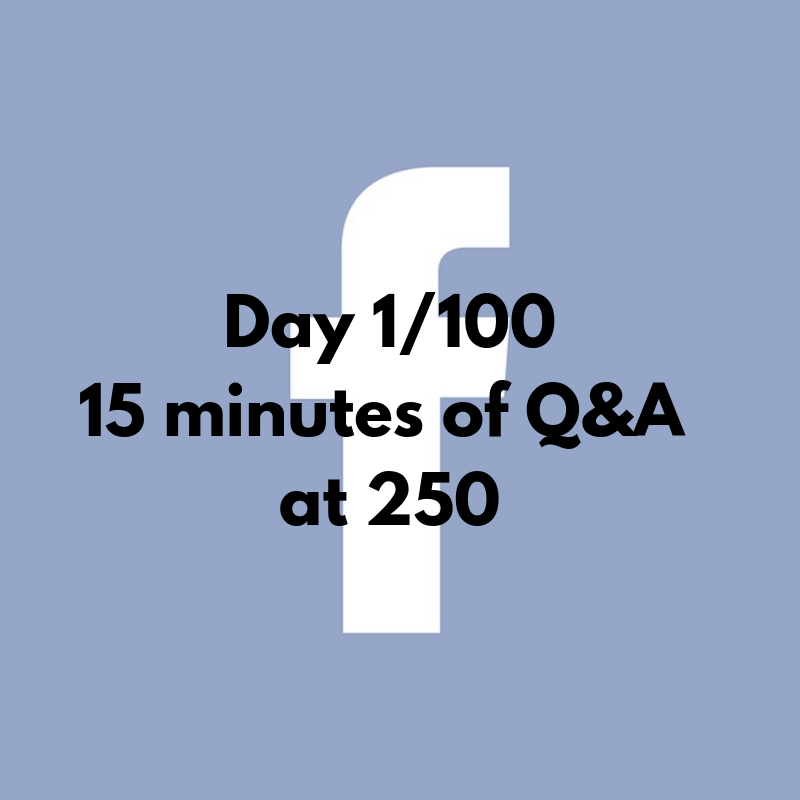 The rules for the group are simple, or I think they are at least: Practice 15 minutes per day for 100 straight days without missing a day and post your practice once per day; for instance, “Day 1/100: 15 minutes of Q&A at 250,” or whatever it was. If you stop practicing, you are gently removed from the page. I keep track of everyone’s milestones, and everyone encourages everyone else. We have a handful of students on there, but the majority of the people in the group are working reporters who want to improve. Personally, I feel I’ve improved a lot. Since starting the page, I’ve received three medals total, my first at the Deposition Reporters Association’s contest in 2017, third place in the 190 wpm Q&A; second place in the Q&A Realtime Contest in Las Vegas at NCRA’s 2017 Convention & Expo; and third place in the Q&A Speed Contest at NCRA’s 2018 Convention & Expo in New Orleans. Likewise, just about everyone who is on the page has mentioned that they see the improvement when they practice, as well as a decline if they take time out from practice. In 2016, one of the members of the group, Michelle Grimes from Chicago, shared with us that she had cancer. Michelle felt safe in sharing with us that she was going through treatments. Through all of this, Michelle somehow kept practicing. It was very inspiring. She completed three 100-day challenges in total. While Michelle was going through treatments, another one of the group’s members, Allison “Allie” Hall, RMR, CRR, started something new by posting an extra 15 minutes for Michelle. It inspired several other people to post “15 minutes for Michelle” in addition to their regular 15 minutes. This means people were putting in a total of 30 minutes per day: 15 regular minutes and 15 for Michelle. 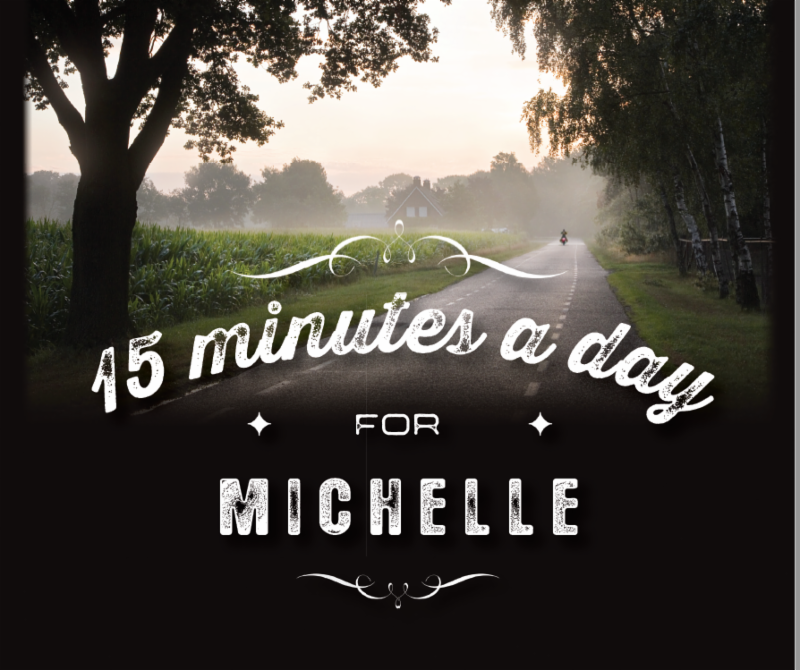 We had a lot of members doing the extra 15 minutes for Michelle. On May 11, 2017, Michelle passed away. She practiced right up until a week or so of passing. The thought on the page was if Michelle could practice through all this, we should practice consistently. Going from 15 minutes to 30 minutes was extremely challenging, especially on days where I’ve been on the record for 7 hours. I find I have to get my practice done before leaving for my 6 a.m. train. It doesn’t sound like a lot more, but 30 minutes is a lot more to do for 100 consecutive days. I started a countdown of 100 days before the NCRA Speed Contest as a Michelle Challenge. We started on April 24, 2018. The 100th day was August 1, 2018, the day of the Speed Contest in New Orleans. Nine members participated in the Speed Contest Michelle Challenge. She has left quite a legacy: She inspired us all to never stop improving and to keep practicing. I dedicated both of my NCRA medals — one in 2017 and one this past Convention in NOLA — to Michelle Grimes. She inspired me to practice more and always to improve and get better. Ron Cook, FAPR, RDR, CRR, CRC, received a medal in NOLA and also did the Michelle Challenge prior to Convention, as well as Traci Mertens, RDR, CRR, CRC. We had a lot of qualifiers, including Allie Hall and Melanie Humphrey-Sonntag, FAPR, RDR, CRR, CRC. I am confident, if it were not for Michelle Grimes and our special challenge to honor her, I would not have gone ahead and done 30 minutes per day for 100 days. I would have had good intentions, but deep down inside, I know it was all Michelle pushing us all to be better writers. I encourage you to start your own practice group and make it a goal to improve a little bit each day. Rich Germosen, RMR, CRR, is a freelance court reporter and agency owner from North Brunswick, N.J. 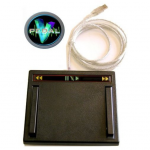 He also holds the Realtime Systems Administrator certificate. A VPN, or Virtual Private Network, is one of those acronyms bandied about often enough that you really want to know what it is, especially in this era when we keep so much information on our computers and there is the possibility that someone might try to hack into it. 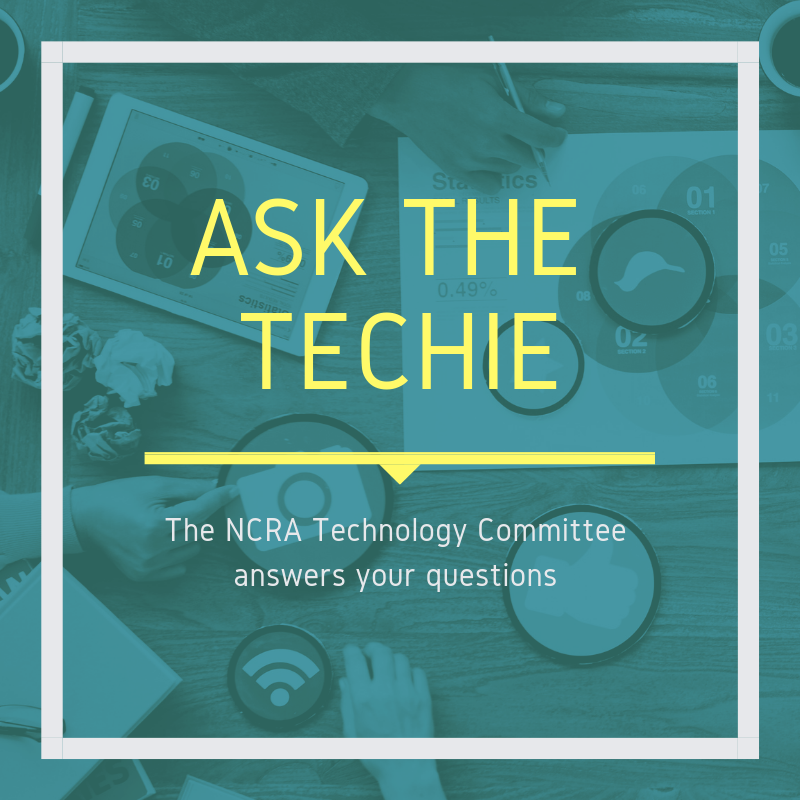 The NCRA Technology Committee decided to break down this topic so that you know the basics and can make good decisions about what to use and when. A VPN is an encrypted connection over the internet from a device (such as a computer, printer, tablet, or smartphone) to a network. Encrypting the connection lets those on the network send and share sensitive data safely. Also, the VPN prevents unauthorized people from getting into the network. Many companies now use VPN technology in their workplaces both on-site and for remote workers. Where might I run across a VPN? Official court reporters and those who work in courthouses might be asked to use the court’s VPN to access files or upload materials. 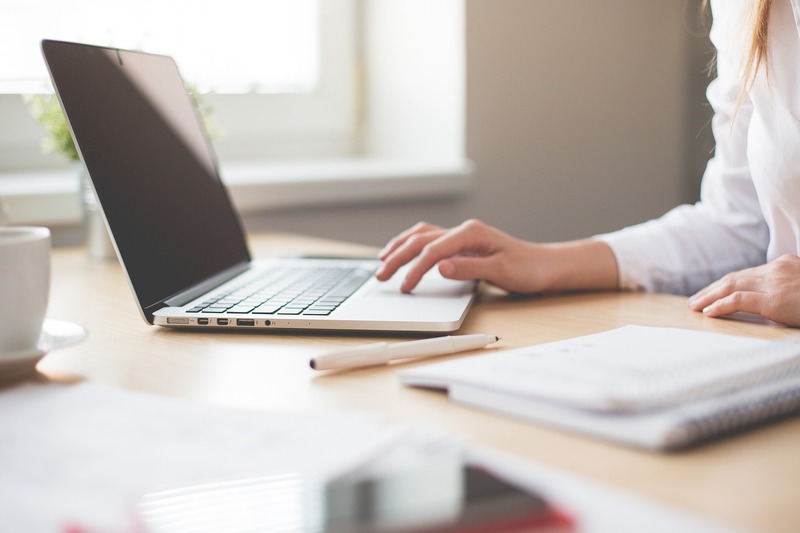 Firm owners might establish a VPN within their own offices, and freelancers are likely to come across VPNs when they are reporting in a client’s law office. Why do I want to use it? “VPNs can cause a decrease in connection speed,” says Mueller. 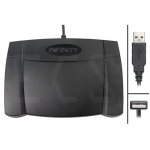 “But that small drawback is still worth using one. Server load is also a common issue when you are connected to a VPN service.” While speed can be a consideration, you can shop around for VPN services and see what they offer. The additional resources section at the bottom lists several articles that go through the services available. Also, check your computer’s speed at SpeedTest.net. Does VPN Slow Down Internet? VPN explained: How Does It Work? Why Would You Use It? VPN Speed Tips: Don’t Slow Down Your Internet! 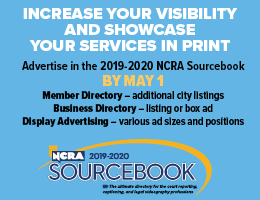 Thank you to the following NCRA Technology Committee members for contributing to this article: Lynette L. Mueller, FAPR, RDR, CRR, chair; Nancy L. Bistany, RPR; Kim Greiner, RDR, CRR, CRC; Lisa A. Knight, FAPR, RDR, CRR; Karen Teig, RPR, CRR, CMRS; and Kelli Ann Willis, RPR, CRR. 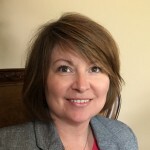 Kimberly R. Greiner, RDR, CRR, CRC, will offer a live webinar Dropbox: Getting Started, Sharing, and Making the Most of It through NCRA’s Continuing Education Program. 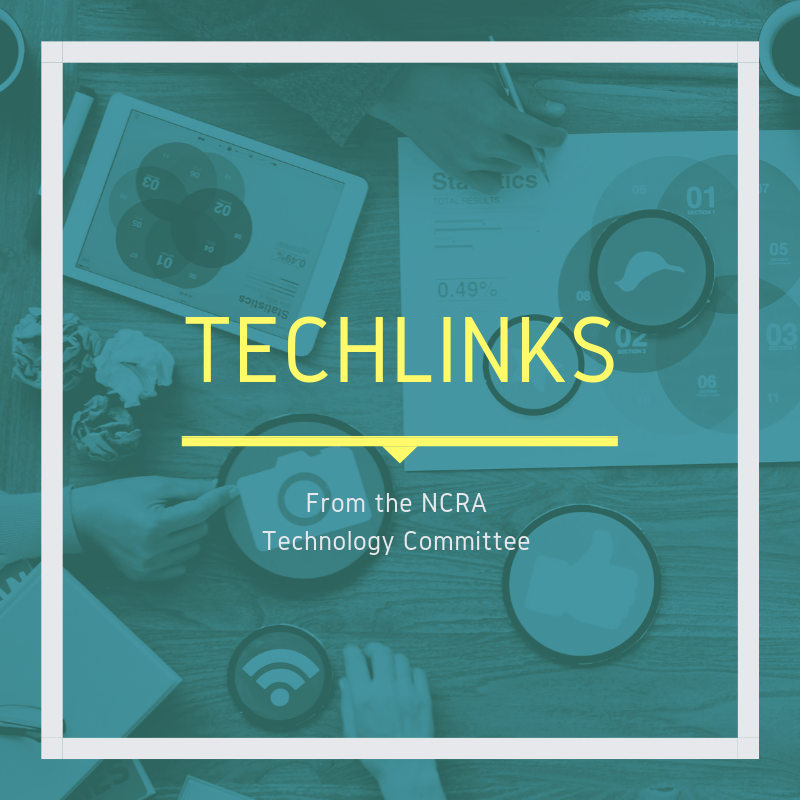 The live webinar, which is sponsored by NCRA’s Technology Committee, occurs on Nov. 12 from 8-9 p.m. ET. Register here. Greiner shared the following about what attendees can expect from this session. 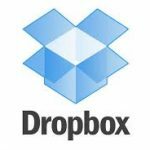 Dropbox can be an important tool for managing your files, whether you like to share with your scopist as you are working on the files or you need a place to upload your backup before you leave your workplace. Register now for this live webinar to earn 0.10 CEU. Were you prepared for last year’s emergencies? Hurricanes Harvey and Irma may now be behind us for the most part, California has started to rebuild from their wildfires, and innumerable other areas have worked through dangerous weather conditions, and during that time many of us discovered how ready – or not – we were to deal with these impending crises. A disaster tech kit that you can get ready in advance will help you be prepared in the event catastrophe strikes — be that rioting, terrorist threat, breakdown somewhere, or natural disaster. Your mission in preparing your tech kit is to ensure that your basic needs are met if you’re forced to evacuate your home or leave a dwelling or abandon a vehicle. 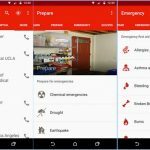 The kit should include nutrition, water, medical supplies, and some way to communicate with loved ones and stay up-to-date on crisis alerts. Of course, your smartphone is the number one piece of technology to help with the latter, but the following apps and gadgets are also essential for a bug-out bag should you ever need to cut and run. Should phone networks get overloaded with cities full of people trying to reach each other, a long-range walkie-talkie set could help you connect with your loved ones. 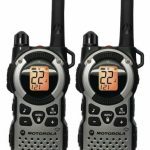 The Motorola MT352R walkie-talkies can work over a 2-mile range in an urban setting through buildings, 6 miles over water, and up to 35 miles if nothing is in the way. $74.99 at Amazon. 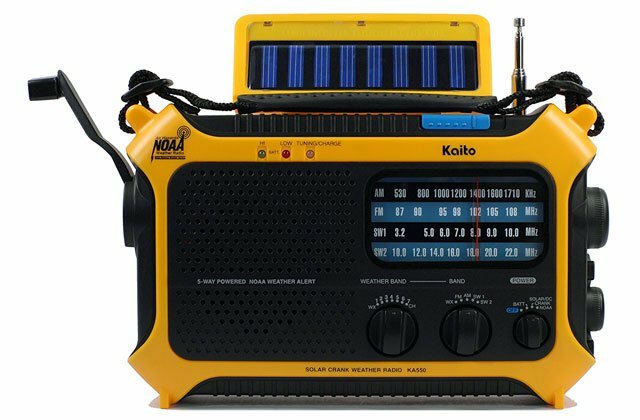 If phones, internet, and electricity are all down, you’ll be glad you have this hand-crank multifunction AM/FM and shortwave radio to get updates on breaking situations and access to the Emergency Alert System. 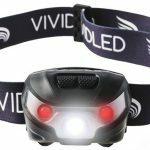 It doubles as a portable lamp with a 5-LED reading light, a flashlight, and an SOS beacon mode. 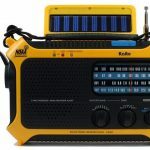 It can be charged by a NiMH rechargeable battery pack, 3 AA batteries (not included), hand-crank generator, solar panel, or AC/DC wall adapter/charger (not included), should you have access to power; the radio also has a USB port to charge other mobile devices when you’re on the move. $49.99 from Amazon. 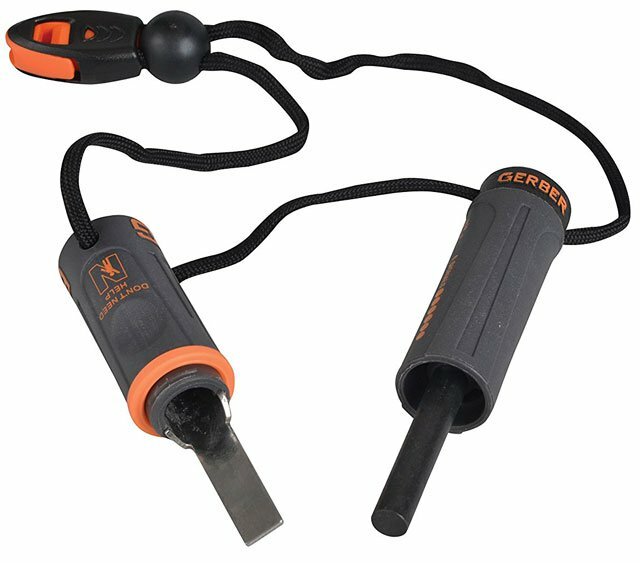 “Society is three square meals away from complete anarchy” suggest researchers — but with the Gerber Bear Grylls Fire Starter, you can hold off hunger-fueled rioting by rubbing together a ferrocerium rod and metal striker to make a nice big meat- (or portobello)-grilling fire. 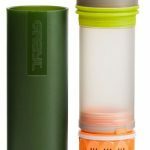 It comes with a waterproof storage compartment for tinder, as well as an emergency whistle and a pocket survival booklet with instructions on attracting rescuers’ attention. $13.30 from Amazon. If ‘they’ have gotten to the water supply, filtering your H20 will be crucial for survival until order is restored. 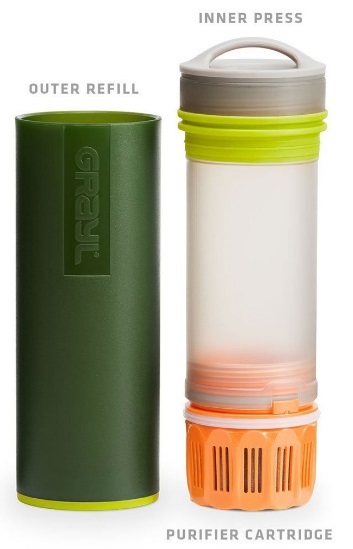 Fill up the GRAYL with water from any fresh or tap water source, then push the purifier like a French press to remove 99.9999 percent of viruses and bacteria, and filter out particulates, chemicals and heavy metals. Bonus: It’s also handy for travelers who want to avoid the eco-impact of buying bottled water. $59.50 from Amazon. In addition to the head, the feet are one of the greatest areas of heat loss in the body. 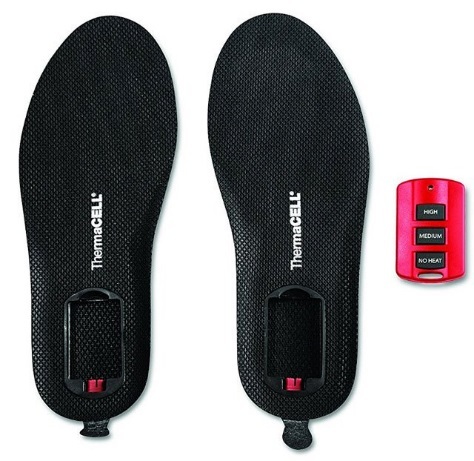 Should a freak heavy rain or snowstorm come your way, these rechargeable heated insoles will keep your toes toasty, saving your energy for figuring out an escape plan. 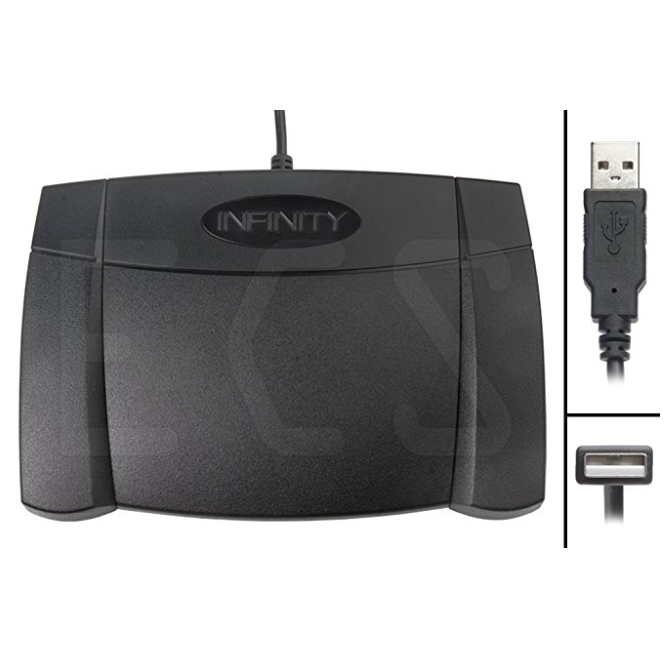 From $60.21 at Amazon. You can’t overestimate the fundamental human need for light. In disaster scenarios, reliable, solar-powered and portable lighting like the Luci EMRG can reduce stress simply by providing illumination for your community to come together. The EMRG has long-lasting, solar-powered LEDs that can be used in four intensity settings, including flashing SOS alert. It’s also inflatable and collapsible, so you can pack several into your bug-out bag. $14.95 from Amazon. 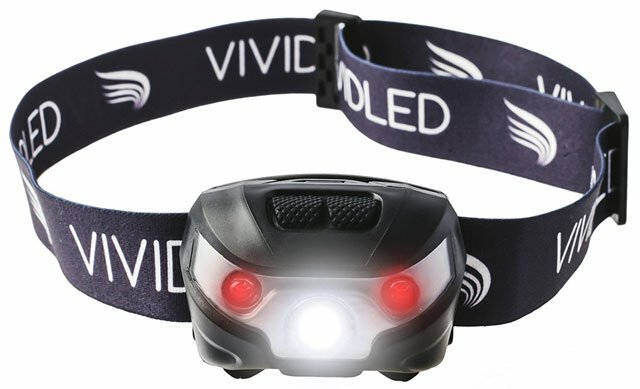 If you have to brave a flooded cellar when the power’s out, this rechargeable headlamp keeps both your hands free for fussing with the fuse box. There are five light modes, including a strobe for getting attention and a red light, which helps you see your surroundings while keeping your eyes adjusted to the dark — handy to avoid feeling temporarily blinded when you look away from the lighted area. $12.97 (on sale from $29.99) from Amazon. 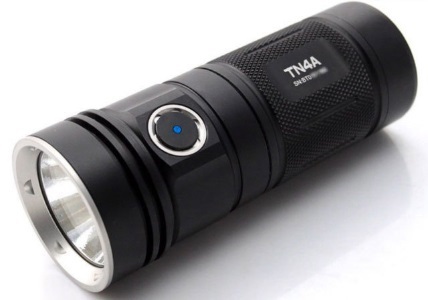 A flashlight is an essential for any emergency kit, so pick a long-lasting LED one like the ThruNite TN4A, which has a lifespan of over 20 years. 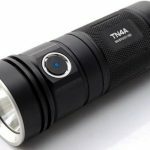 You can use it in one of five brightness settings, going up to a hyper-bright 1150 lumens with a range of up to 450 meters, or put it in strobe mode to attract attention. 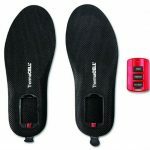 It’s also waterproof to 1.5 meters and impact resistant to 2 meters. $49.95 from Amazon. Brightest LED lantern for its size: Latest technology Chip-On-Board LED technology illuminates more area with more light than the commonly found 30 LED camping lanterns. 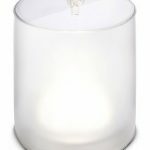 Its light is also warmer in color than the competition’s 30 LED lanterns, eliminating that cold, harsh feel. The warm light also leaves your sleep rhythm intact, helping you to avoid the insomnia that other brands might cause. 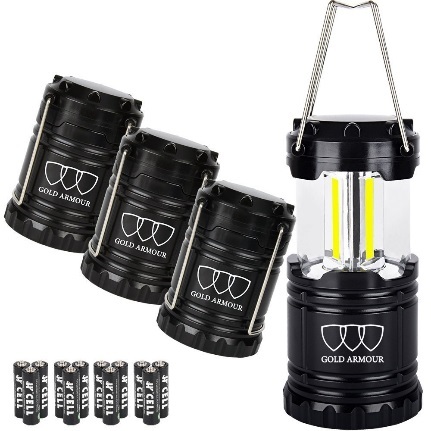 Dependable build: Each of our premium LED Camping Lanterns are hand-built with military-grade, water-resistant plastic — making them extra durable wherever you may be. The lantern is built for both the indoors and outdoors. 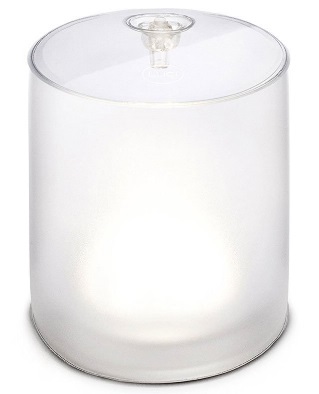 Advanced collapsible design: Superior design and construction allows our lantern to be super lightweight and compact. It is also collapsible with a simple push. $35.99 on Amazon. Murphy’s law dictates that when you need your smartphone most, its battery will be nearly empty. 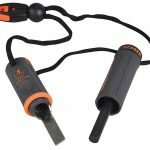 Sidestep this by keeping a charged-up portable battery pack in your bug-out bag, and you’ll be good for at least 72 hours. 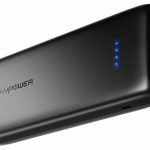 We like the Anker PowerCore, which can fast-charge an iPhone 7 or Galaxy S8 around three times from its 10000mAh battery. Or if you need more power, try the three-USB RavPower Portable Charger, whose 22000mAh, can hold about a week’s worth of power (or charge an iPhone eight times). Anker PowerCore $25.99 (currently on sale from $49.99) from Amazon. 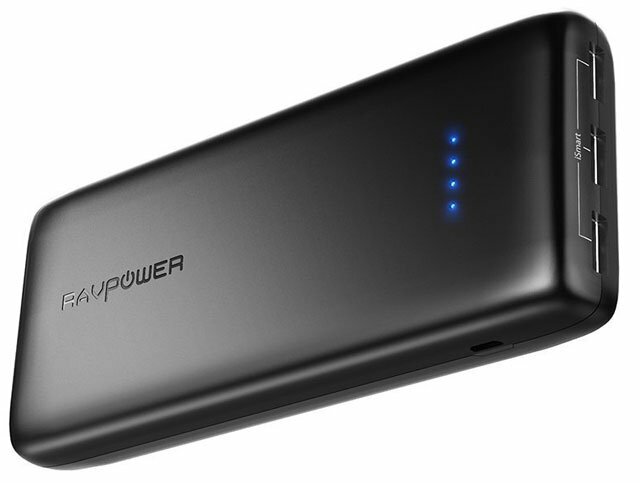 RavPower Portable Charger $39.99 (currently on sale from $109.99) from Amazon. 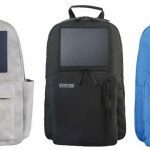 Get maximum use out of your bug-out bag itself by using a solar-powered, charge-packing backpack. 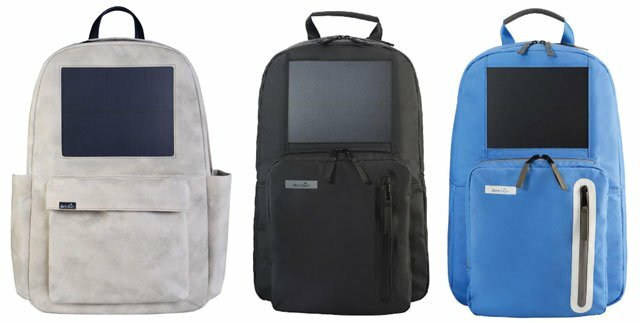 Bags in the Birksun range cannot only store all of the above survival essentials, but also charge up your gadgets so you can access critical updates and communicate with others. Every two minutes of sunlight provides enough energy to charge your phone battery another 1 percent. The waterproof, scratch-resistant solar panel can juice up your tech for up to 20 years, with a 3000mAh battery that stores around one full charge for a new-ish smartphone. When you get back to civilization and power sockets, you can also charge the bag from the mains. 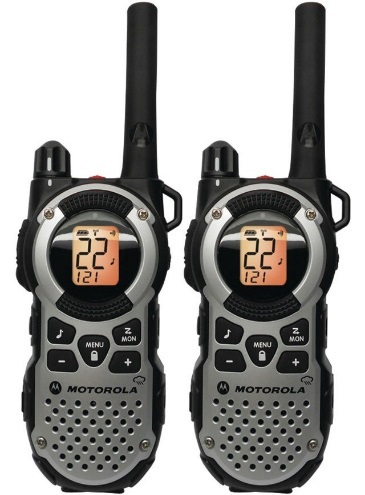 From $109 at Birksun or from $99 on Amazon. 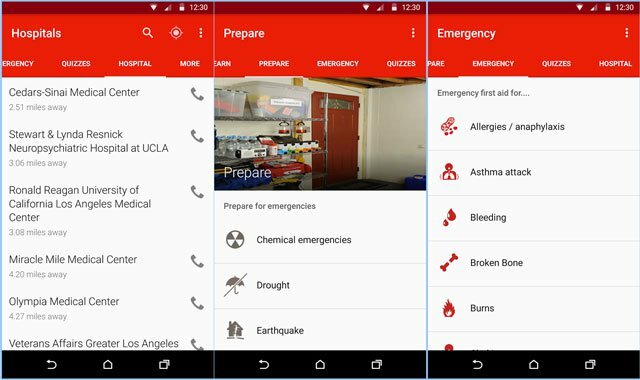 This app has step-by-step advice for everyday first aid for issues from asthma attacks to strains and sprains, as well as instructions on handling out-of-the-ordinary scenarios such as hazardous chemicals. It’s integrated with 911, so you can call emergency services directly from the app. It also has safety tips for dealing with extreme weather, from severe cold to hurricanes and tornadoes, and includes addresses of the nearest hospitals. And in case of a power loss or evacuation off-grid, all this content is available offline. Free, Android, iOS. In the event of a disaster, it can be a vast relief just to know where your family members are. Get your loved ones to download this app, and you’ll be able to view their location on a map — either whenever they make it available or continuously if they so allow. 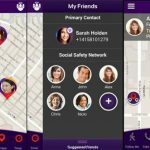 You can add emergency contacts to alert others on behalf of anyone in your family group, or press a panic button in the app to alert each member of a group that you’re in trouble. 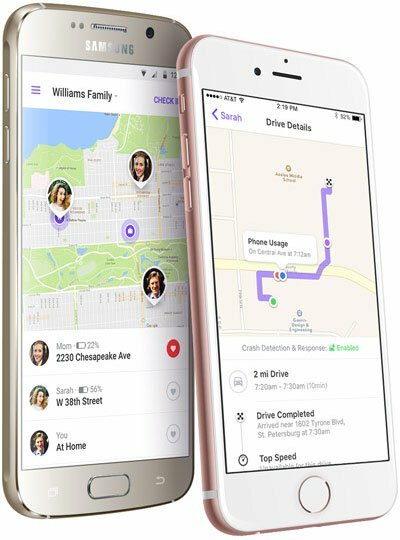 Other handy features include the ability to save “Places” so you can be notified when one of your group arrives at home, school, or another designated location. 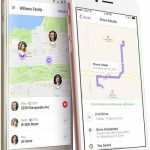 The paid-for Plus service lets you save unlimited places, while the Driver Protect add-on can detect a car accident, then call for an ambulance, and raise the alarm within the app. Free, Android, iOS; from $2.99/month for Plus; $4.99/month for Driver Protect. 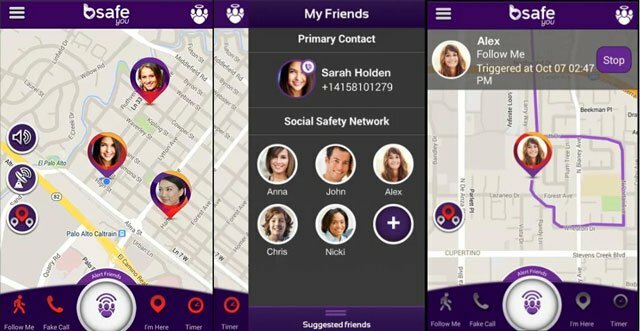 An app designed for personal safety can be well-suited for emergency use. bSafe lets out an audible alarm that can aid in rescue attempts and will also broadcast video of your surroundings, along with your GPS location. Outside of emergency situations, the Follow Me Timer can automatically send an SOS message to your chosen contacts if you don’t check in before a preset time — handy for staying safe if traveling alone. To receive this info, however, friends and family also need to download the app. 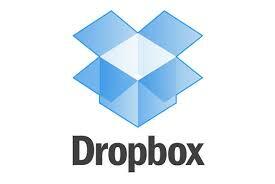 Dropbox truly is the easiest way to back up your entire life, from court reporting note and wav files to pictures of generations of family members. This was probably the number one thing I heard during these disasters: massive scanning going on and putting pictures into Ziplocs. Endeavor to get all those pictures scanned. 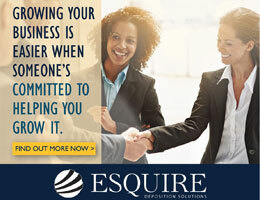 (Perhaps the court reporting firm you work with would work out a financial arrangement to have their production department perform the scanning for you.) Make sure you have your most important documents that you keep in a safe like birth certificates, estate planning documents, and insurance policies scanned to a folder stored on Dropbox also. Be sure to download the app to your phone so that you can easily access the documents as well. As we begin hurricane season, take advance precautions while there are no threats to protect your loved ones and the irreplaceable photos and documents. 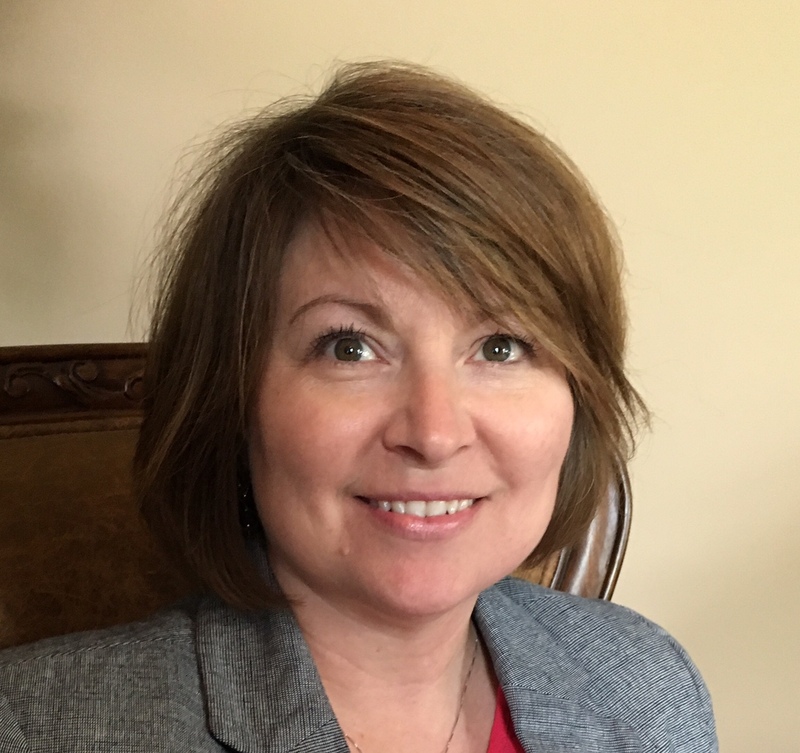 Christine Phipps, RPR, is CEO of Phipps Reporting in North Palm Beach, Fla., and Vice President of the NCRA Board of Directors.